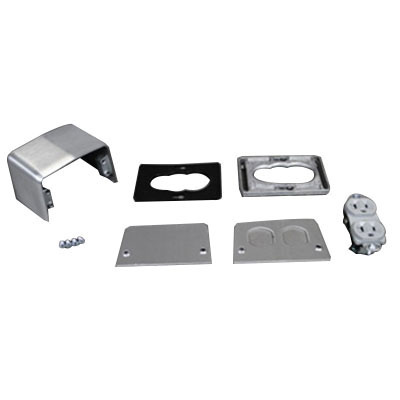 Wiremold 4-Piece pedestal power service fitting in brushed satin finish, has die-cast aluminum construction for added strength and durability. It measures 4.44-Inch x 3.12-Inch x 3-Inch. It includes a duplex plate, receptacle and blank plate. The power service fitting is UL listed.